Halloween is a fun time of year around our house, since my kiddos love to dress up in costumes from years past all year ’round, and the end of October means NEW costumes and candy! While I’m not really big into decorating the house for holidays (with the exception of Christmas and Easter–how can you resist those? 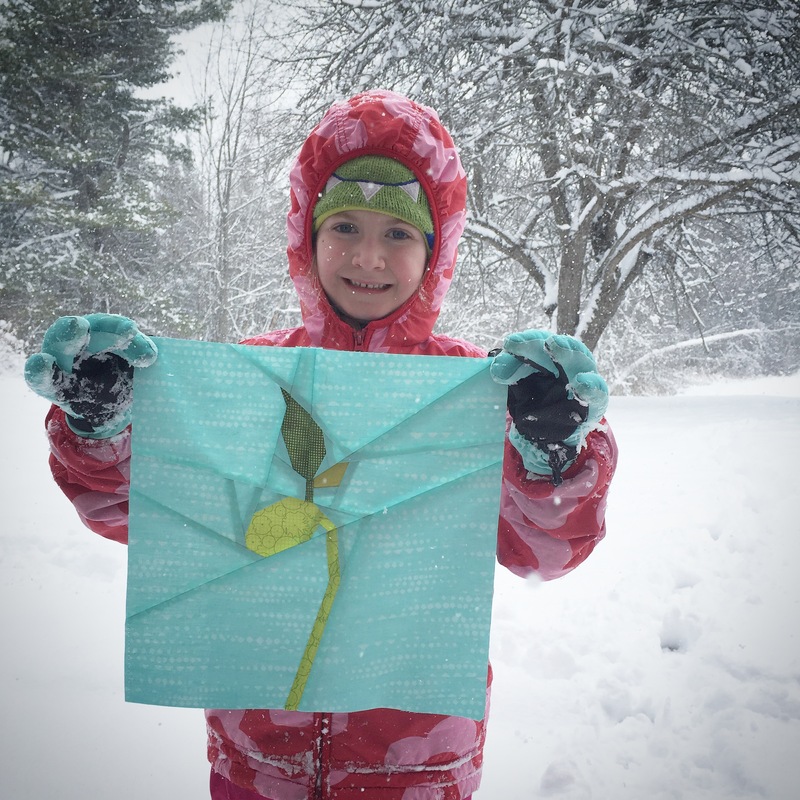 ), I do like making holiday crafts with the kids to help build excitement. 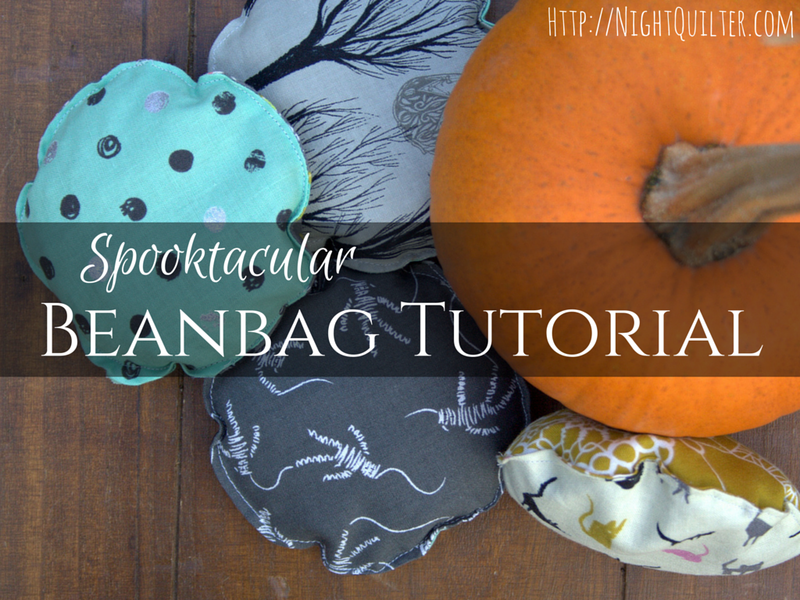 Today I’m going to share a quick tutorial for some spooktacularly sturdy beanbags, a perfect addition to a Halloween party but also a great addition to any child’s toybox. I should note, too, that beanbags are my go-to gift for two year old birthday parties. When a child turns two, I’ve found it’s really fabulous to have something you’re SUPPOSED to throw. Beanbags are such a versatile gift since they can be personalized in any way; you can change the shape, change the fabric, or personalize with applique letters or pictures. I’ve included affiliate links in this post so that if you decide to buy any of the tools I’m using, I will receive a small commission, too. I only share tools and products I love, so you can be sure they are tried, tested, and loved! 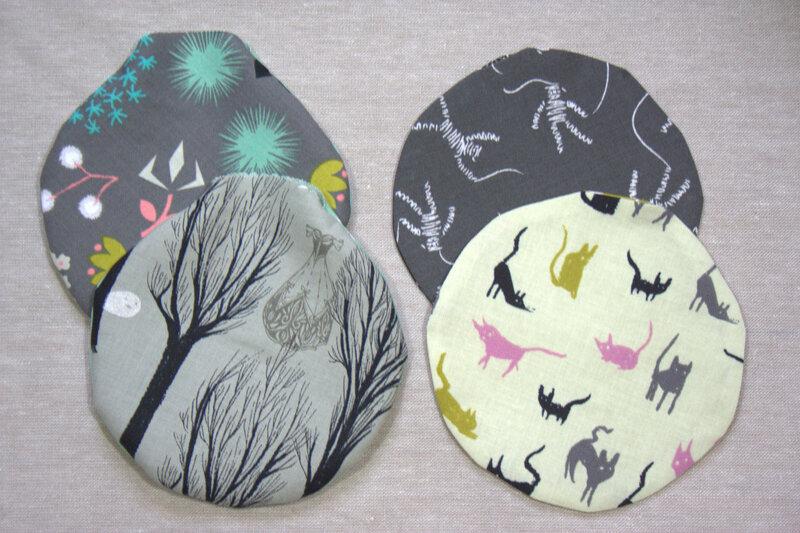 I made my beanbags using my Sizzix fabi die cutting machine and the BigZ L Circle 5″ die. 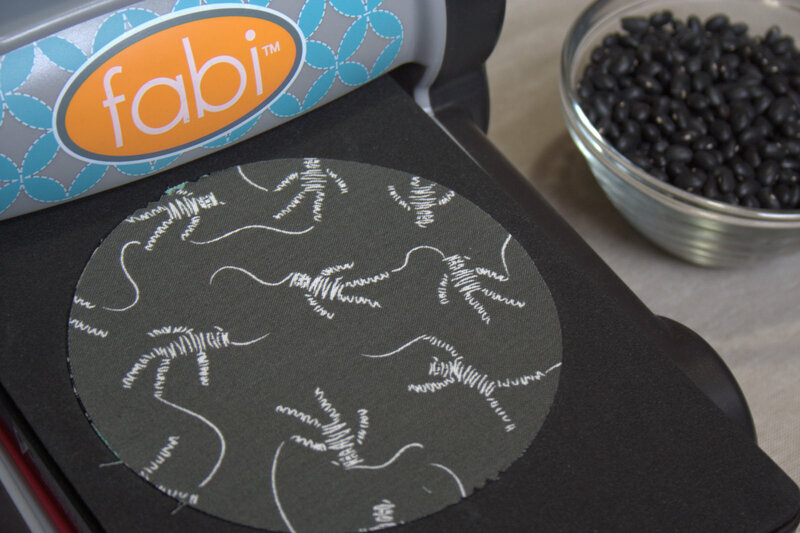 You can also use any palm-sized circle item in your kitchen to trace circles on fabric for the beanbags if you don’t have a die cutting machine. 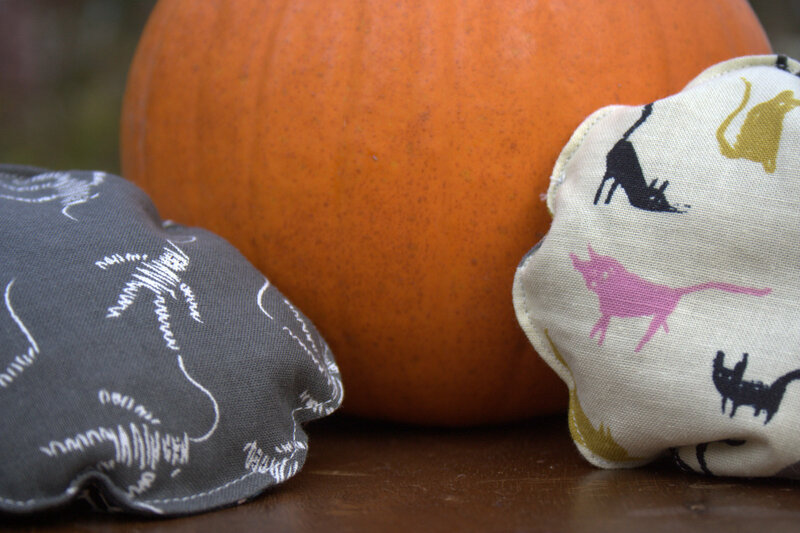 I figured since it’s nearly Halloween, it was the perfect time to use my Cotton + Steel Spellbound Collaboration charm pack that I bought from Fat Quarter Shop. 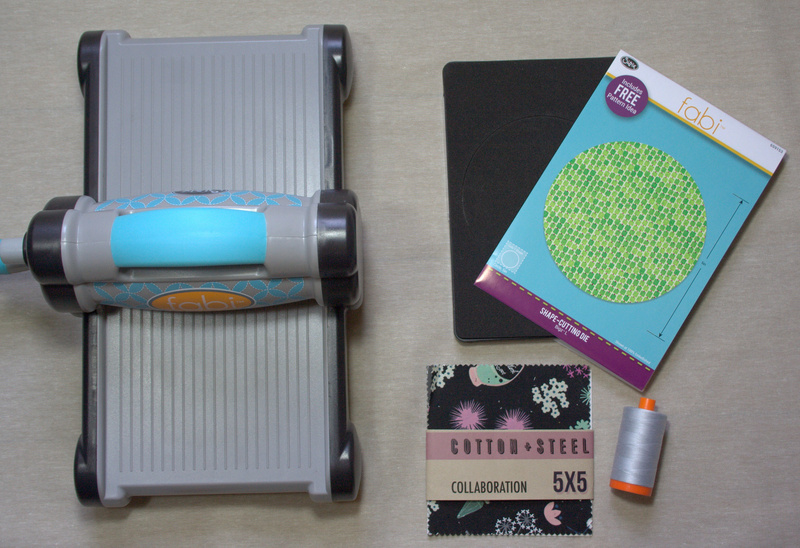 The 5″ circle die worked perfectly with the charm squares, which made my job even easier! 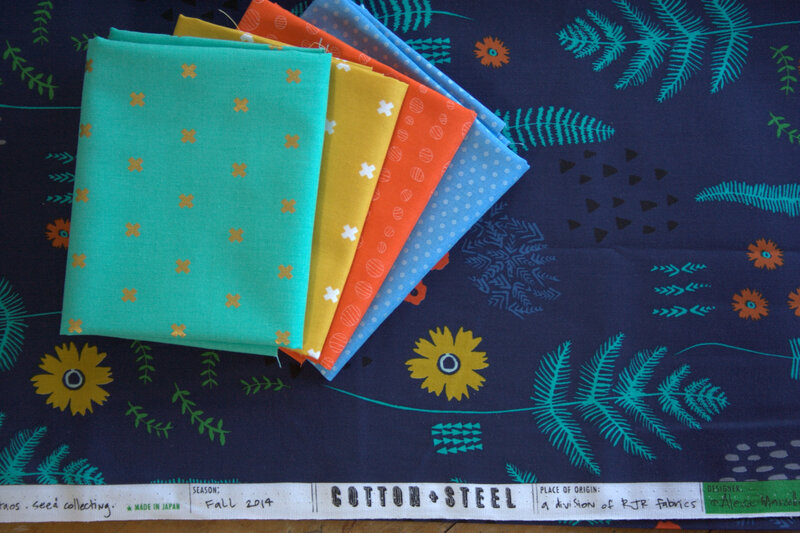 I used my go-to thread, 50wt Aurifil 2600-Dove for all sewing. 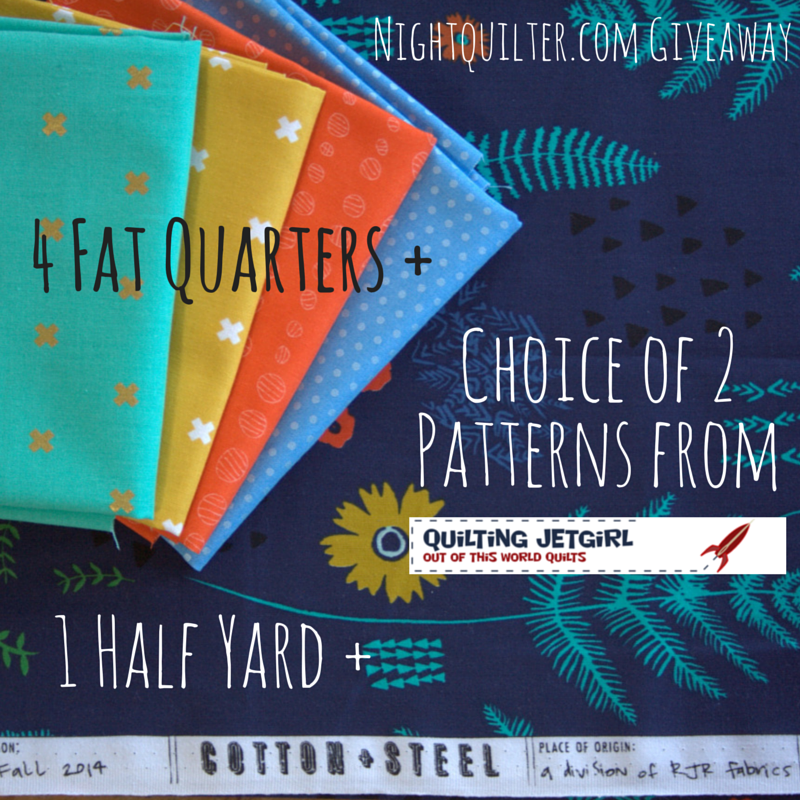 Choosing four pairs of coordinating charm squares, cut eight (8) 5″ circles, layering your Sizzix sandwich: bottom cutting pad, die with the blades facing up, fabric centered over the circle blade, and top cutting pad. 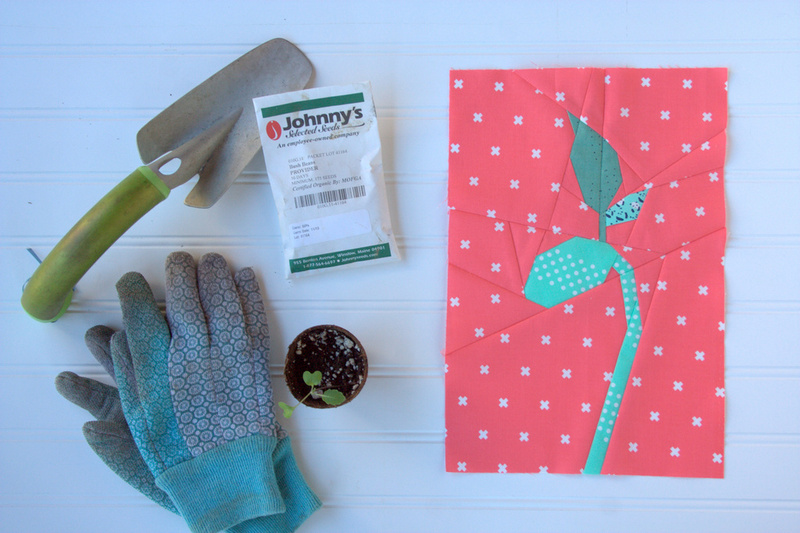 All necessary circles for this project can be cut with one pass through the fabi, which made this a really quick project to make with my kids. 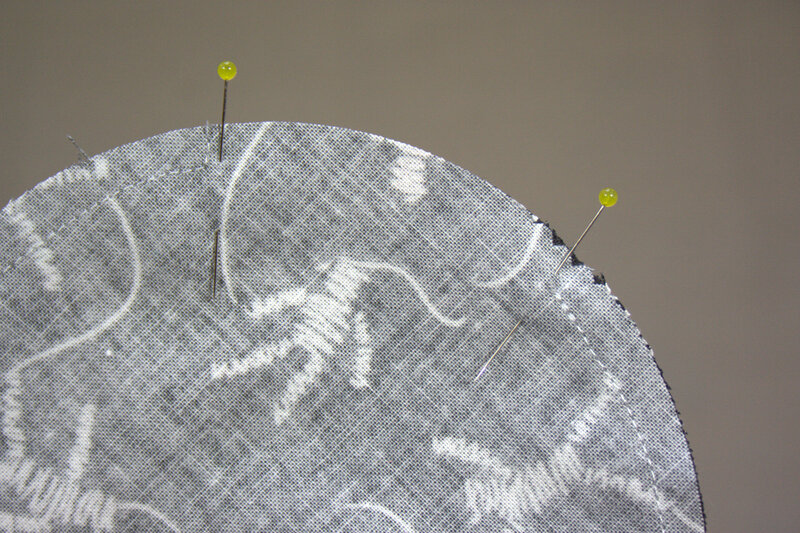 Next, pin your pairs of fabric right sides facing. I used only four pins, two of which marked a 2″ opening. 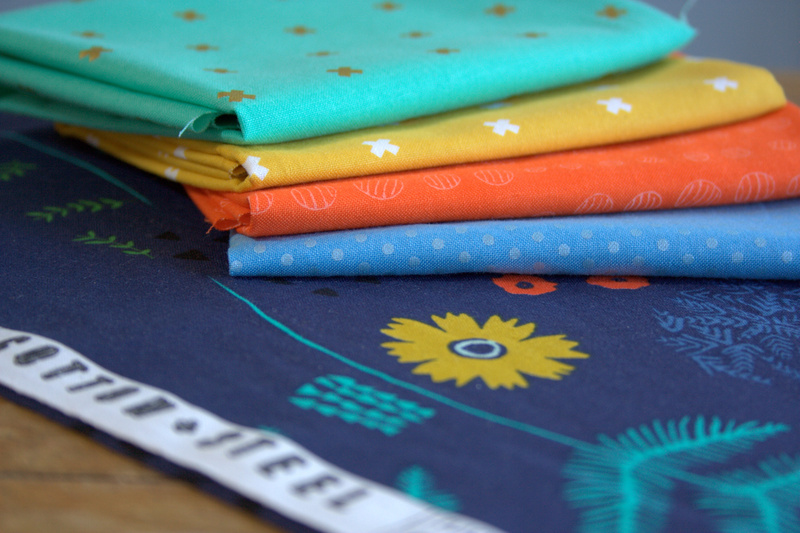 With a 1/4″ seam allowance, sew the circles together, leaving 2″ open for turning and filling. 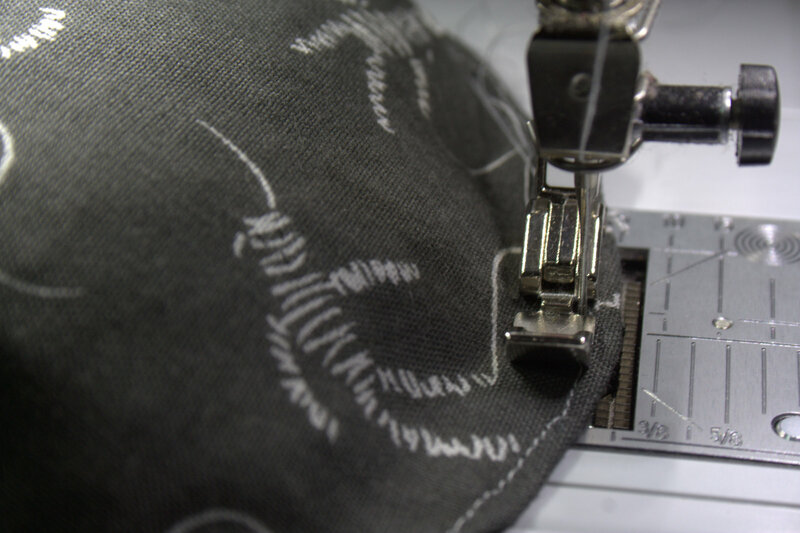 Remember to backstitch at the beginning and end of each seam. Beanbags once they have been turned. On the left are beanbags before pressing; on the right are beanbags after pressing and turning in the opening. 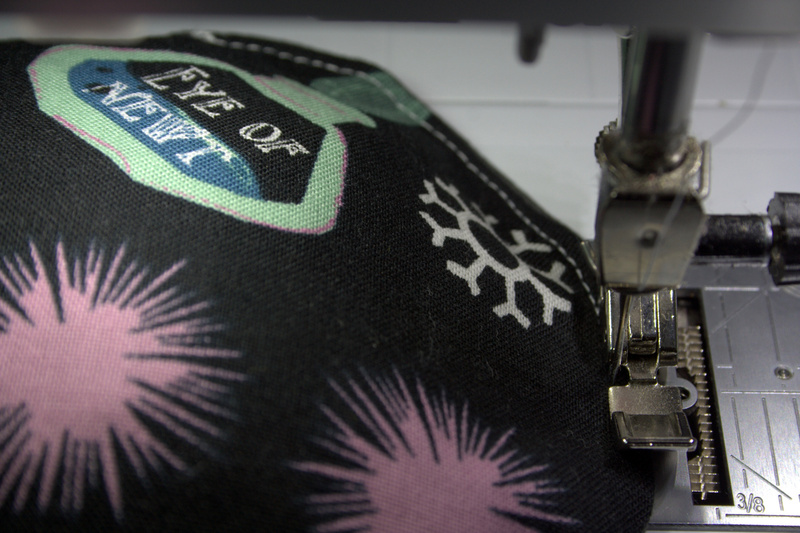 Turn beanbags right side out through the 2″ opening. Gently slide your finger along the seam from the inside to make sure the circle is fully turned. Press with a hot iron. 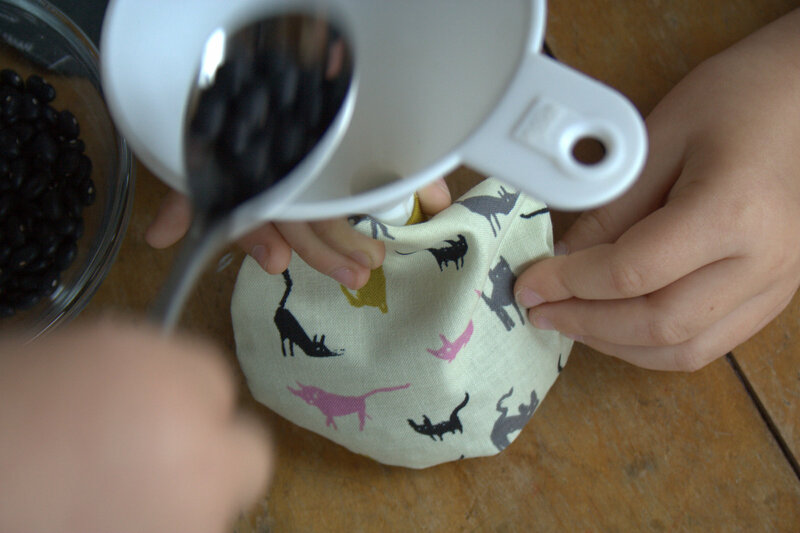 Turn in the seam allowance around the opening and press, too, since that will make sewing the beanbags together much smoother once they are filled with dried beans. Since it’s a curve, this step is a little tricky (or at least it was a little tricky for me). Just remember what you’re making: these are going to be tossed and thrown and loved, and perfection is overrated! Now comes the fun part! 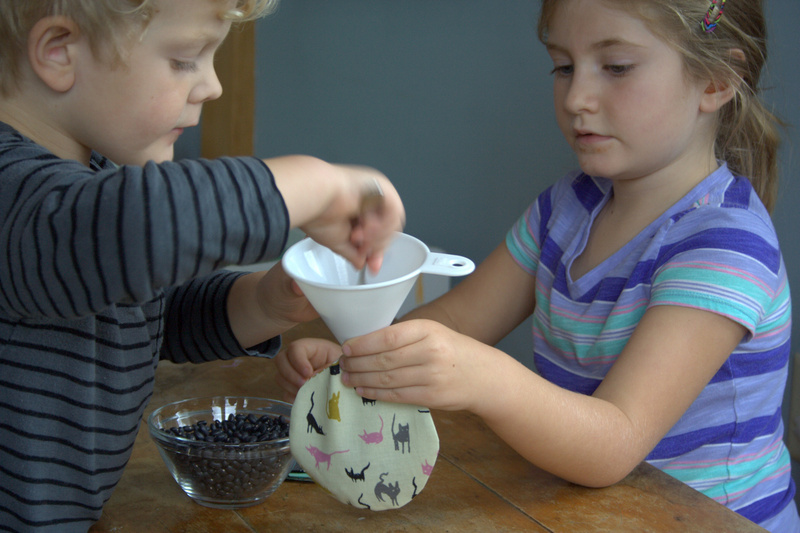 Grab some small dried beans (I used dried black beans), a funnel and/or spoon, and a couple of eager helpers. Fill the beanbags with dried beans, leaving at least an inch of empty space at the top. Trust me here; the beanbags will seem too empty, but while you are sewing them shut and top-stitching, you will want that extra wiggle room. We found that a combination of funnel, spoon, and simple “use your hands to put the beans in” worked well for us. Depending on the size of your helpers, this may be a messy activity. Plan accordingly, or embrace the chaos. Needle between foot and beanbag. 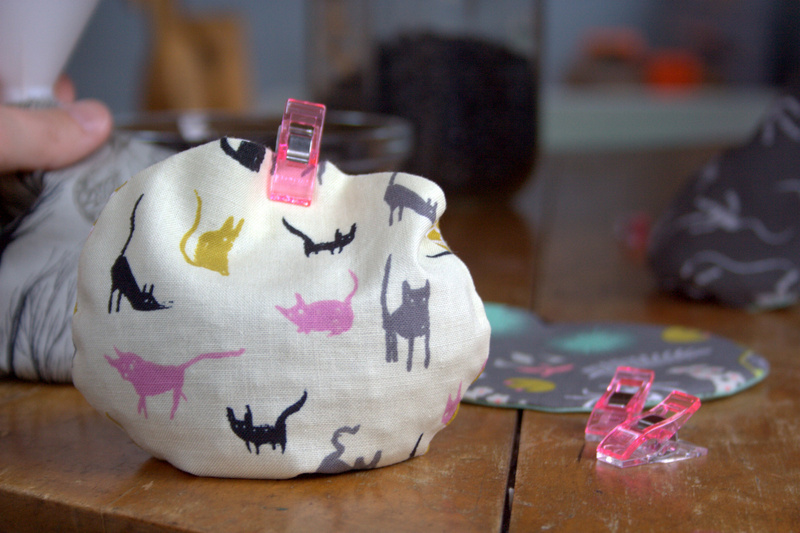 Once all of your beanbags are sufficiently filled, head back to the sewing machine and topstitch about 1/8″ inch from the edge of the beanbag, beginning by sewing the opening closed. This extra round of sewing will securely close the opening, and will also provide extra durability for the entire beanbag. I made some beanbags for my nearly-six year old when she turned two, and they are still going strong in our playroom. Foot between needle and beanbag = winning combination for me. I used my zipper foot to sew these beanbags closed, and sewed most of them with the needle between the foot and the beanbag (shown in the top photo above). It proved more finicky than I remembered, so with the final beanbag, I moved the needle so that the foot was between the needle and the beanbag (shown in the photo above). This worked much more smoothly for me. 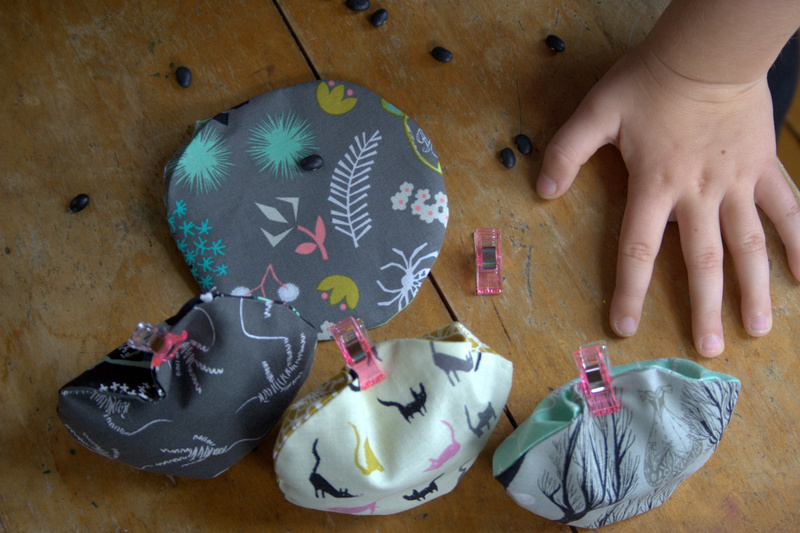 As you sew around the edges of the beanbag, stop every couple inches with the needle down to reposition the beans, pushing them away from the part of the beanbag you are about to sew. 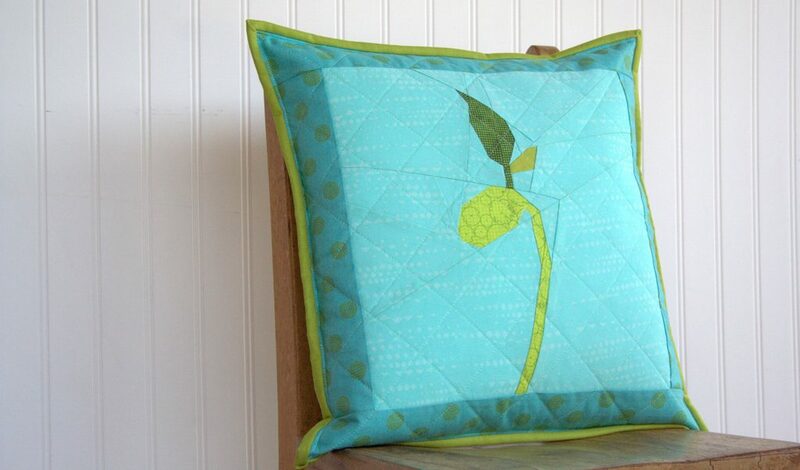 Sew all the way around each beanbag. 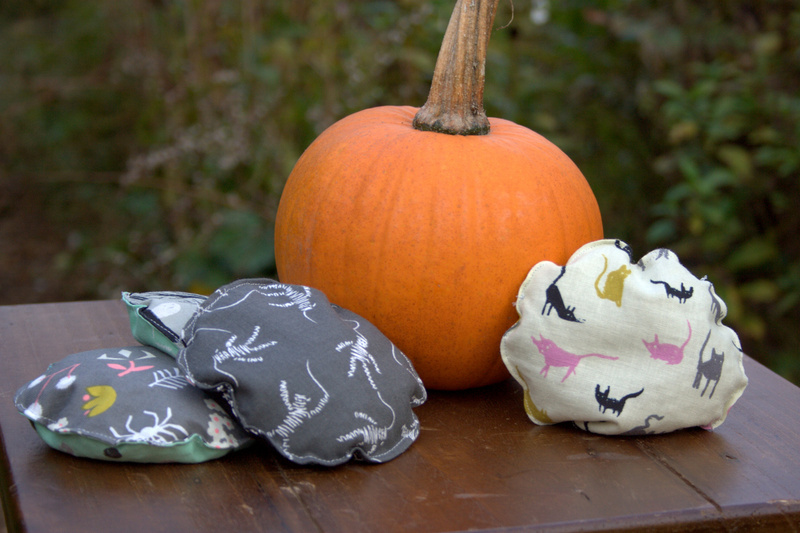 Now you have a handful of spooktacular sturdy beanbags and you’re ready for fun! Toss them at pumpkins, into trick-or-treat buckets, or at each other (avoid faces!). Have fun!